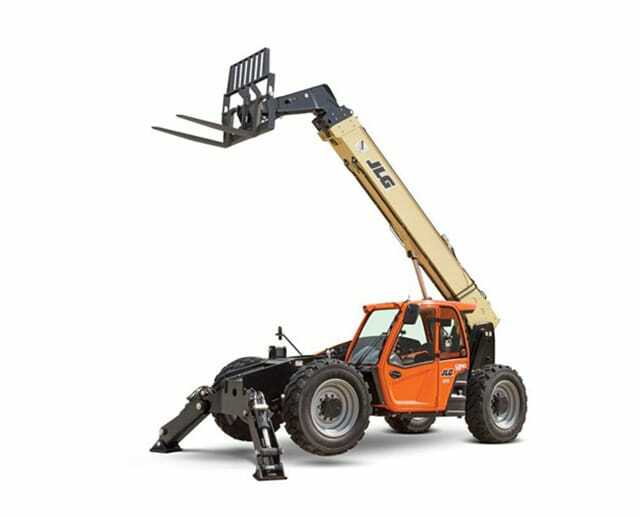 The 12,000 lb 55 ft telescopic forklift is a heavy-duty forklift attached to a telehandler. The telescopic boom can extend horizontally 55 ft, giving operators plenty of reach for positioning, placing, lifting, or unloading heavy materials. Although it’s designed for single unit, palletized loads, the forklift attachment can also handle oblong items, such as piping. Capable of handling up to 12,000 lbs, the telescopic forklift is commonly used for large-scale construction or industrial tasks.